One thing (among many) that I’ve had to get used to while living here is the sensation of looking at a very real sight and having to fight with my mind to convince myself that what I’m looking at is real. I’d had this sensation from time to time before living in Vienna — I’d look at a sunset, or some clouds, or even a particularly picturesque pastoral scene, and have an instinctive reaction that I was looking at a painted backdrop, rather than real life. But here, it happens all the time. Showing the city to my sister last week, and having her react the same way, reminded me of how often I see things that way. I mean, really, that could be a backdrop. Vienna is strikingly beautiful, and it’s lovely in a different way than the rolling hills and bucolic scenery that I know so well from Maryland and Virginia. It’s so common to see one of the beautiful buildings — a church, a palace, a museum, a library, a theater — and have to remind myself that it’s really real and I’m really here. The views deceive me even more often than they did at home — I think it’s the fact that the hills and the mountains are unfamiliar to me, making them harder to believe. Even the skies here are different than I’m used to and are more likely to look like painted scenes to me. Just this evening, I was sitting outside, drinking coffee, looking up at the facade of the northeastern face of the Hofburg, with a blue sky and barely detectable gauzy white clouds. It didn’t look believable — too grand, impressive and undeniably European to be part of my Wednesday evening. I guess, after nearly a year, I’m still not really used to living here. I enjoy seeing the beauty all around me and I love having to remind myself that I’m really experiencing what I see. 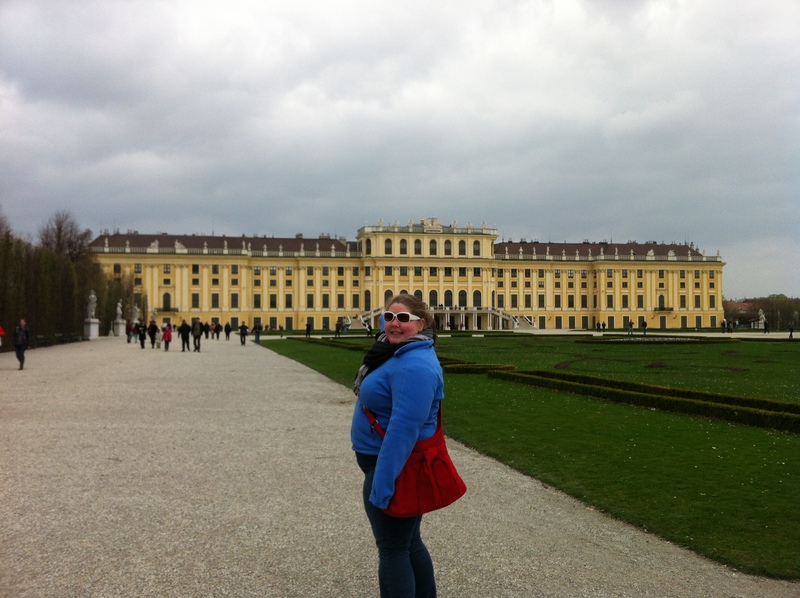 This entry was posted on Wednesday, April 4th, 2012 at 6:07 pm	and is filed under Adventure in Vienna, Em's blog. You can follow any responses to this entry through the RSS 2.0 feed. Responses are currently closed, but you can trackback from your own site.